The initial thought that every immigrant gets when he is deciding on which country to choose for immigration is the prosperity and fame of the country while keeping it associated to its security. Well known for its “happy and safe” factor, Denmark is indeed a place for those desiring for a luxury life and a flourishing career. Denmark is not just a nation with low crime rate but has so much more for its immigrants. A place which features high quality life associated to enhanced education facilities, health provisions and well cultured society. Denmark holds a historical record of very low unemployment over the years. Surveys state that Denmark badges the top numbers when it comes to countries offering high gross salaries. Copenhagen, a city ranked for its liveliness is the capital of Denmark. Denmark has a GDP per capita 15-20%, comparably higher to that of the United States of America. The Danish Green Card is indeed worth considering. What is Danish Green Card? Danish Green Card is a work permit just like what the other countries offer an immigrant as to work and live in the respective country. For the skilled workers who have been finding it quite difficult to migrate and look for a place to live in Denmark, the Danish Green Card came in as a factor of ease. The Danish Green Card is provided to the immigrant considering the points he has scored under the Danish Green Card Points Calculator. Following are the aspects you will be allocated points for, as per your eligibility criteria. Age and adaptability: When applying for a Danish Green Card, it is mandatory to reach the standard age set, i.e. 18 years and also have a good ability to adapt to the life of Denmark. For both the aspects, you will be allotted with 10 points each. Education: In order to immigrate to Denmark and enjoy the benefits of the Danish Green Card, it is mandatory for you to be a graduate. A score of 30, 50, 60, and 80 will be allotted for bachelor’s degree, master’s degree, two years of master’s degree and PhD, respectively. Work experience: In order to work in the country, it is important that you score good points in this aspect. An average of 15 points will be allotted to you if you have a minimum of one year’s experience in the work field you have opted to work in Denmark. 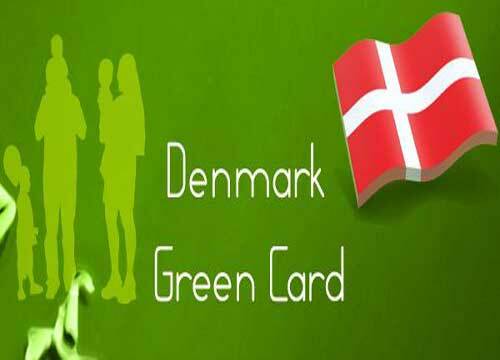 Simultaneously, language skills of the applicant also play a major role when applying for a Danish Green Card. To qualify through the process, one has to pass a language assessment test approved by Denmark authorities.